Manashosting will become your reliable guide into the world of e-money. Manashosting is able to integrate with a wide variety of merchant gateway solutions for processing electronic credit payments. This article provides a list of supported gateways and the level of functionality available with each gateway. The first table below lists each gateway Manashosting can integrate with along with the information required to connect each gateway, to be entered into the Manashosting Payments page within your Admin Area. Note that not all gateways provide the same level of service. The second table within this chapter lists the features support by each gateway (e.g. payment authorization, payment capture, etc.). Please note that among the supported gateways listed here, only Authorize.Net is fully supported by Manashosting. As such, Authorize.Net is the payment gateway provider most recommended for your Manashosting store. 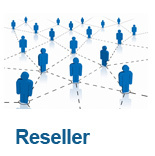 Gateway Provider – The name of the supported gateway and, if applicable, the specific country supported for that gateway. Gateway Name – The name that needs to be entered into the Gateway Name field in the Payments page in your Admin Area. Custom 1 – The required data (if any) to be entered into the first Custom field in the Payments page in your Admin Area. Custom 2 – The required data (if any) to be entered into the second Custom field in the Payments page in your Admin Area.